During June 2011 teens involved with TAAV and the Teens Lead Ahead youth camp had an opportunity to create 3 commercials, with funding and support through the Alaska Network on Domestic Violence and Sexual Assault. The commercials are based on a poem called “When I’m an Elder” created and written by TAAV youth around 2002. This poem has evolved into a performance piece. Youth throughout the years have added and changed lines, slowly making “When I’m an Elder” an evolving TAAV creation. 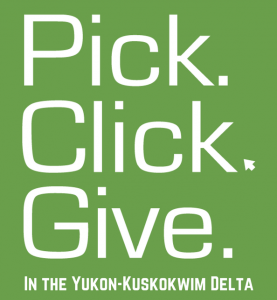 This poem has been read by TAAV members at events around the Yukon-Kuskokwim region and Bethel, as well as throughout the state. Though its origins are with the TAAV program, the teens having willingly shared it with ANDVSA, Alaska Native Tribal Health Consortium and other groups to promote sharing their vision of their world with others in our state, as well as to allow others to contribute to the life and evolution of this powerful vision.